Dogs are social animals – right? So how come some dogs don’t play with other dogs? It can be confusing and frustrating (and even downright embarrassing) to own a socially awkward dog. 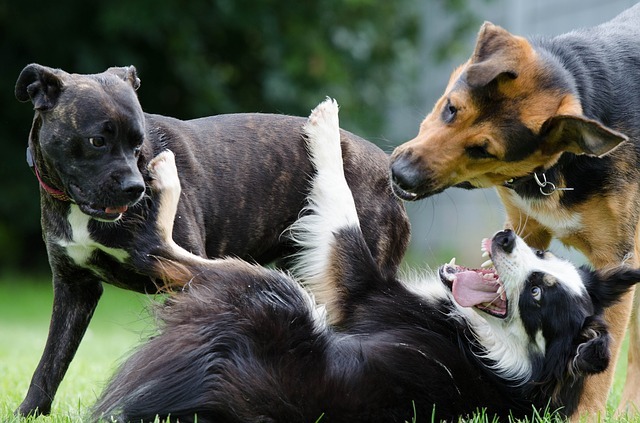 In today’s Ask a Behavior Consultant, we address the problem of a dog who not only doesn’t want to play with other dogs – this dog is downright uncomfortable with the idea of OTHER dogs having fun! Our dog has never played with a dog since I’ve had her – even our other dog. She’s incredibly well behaved and well trained in all other aspects. If the other dog gets too overexcited or tries to invite her to play, she’ll put her hackles up and raise her tail. She’s even tried to break up other dogs who are playing! What gives? Let’s face it: not all dogs are natural social butterflies. It sounds like this owner is doing a lot of things right for her dog from her intake form: the dog is well-fed, gets puzzle toys, and goes bikejoring. This dog is living a good life. But she’s still really impolite with other dogs. She’ll snap at other dogs for the smallest infraction and seems to be the self-appointed “fun police.” So how do we help our Socially Awkward Lab blossom? Not All Dogs Love Other Dogs. And That’s OK. The way I’m reading this, our Socially Awkward Lab might be happier without other dogs around. She’s already living a good life, and it’s clear that being around other dogs is NOT fun, refreshing, or overall good for her. Keep giving her the good life she’s got, with high-quality food, plenty of exercise, and mental stimulation. Avoid unknown, small, rude, boisterous, or playful dogs. Socially Awkward Lab has made it clear that they’re just not her type. That’s ok – she’s basically a doggie introvert. She certainly isn’t the sort of dog who benefits from the dog park (which is basically a rave for dogs). She’d rather go for solo trail runs – and I think many of us can relate. 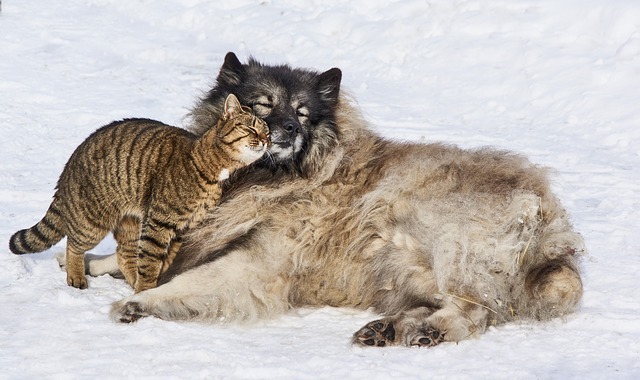 Practice social interactions with calm, friendly, socially savvy dogs. Instead of taking Socially Awkward Lab (SAL) to the dog park or introducing her to random dogs during walks, find a friend or trainer who’s got a very solid, stable, calm, “neutral dog.” Then go for walks and hikes together. Keep the dogs moving and give them stuff to do other than think about each other. Reward polite “no thank you” cues from your socially awkward dog. Many dogs – my own dog included – are pretty good about saying “not right now, thanks.” You might notice SAL turns her head away from other dogs, puts her ears back, backs away, or licks her lips when other dogs approach. A socially savvy dog will respect those cues and give her space. Reward her for those choices! This means she’s saying “Give me space,” without screaming and snarling. If the other dog can’t respect SAL’s desire for a bubble, the other dog is the one being rude. You can also call your dogs apart if you’re noticing tension. My own dog can be pretty socially awkward, especially in large groups of dogs. When I notice him getting a bit tense, I just call him to me and reward with a treat (if the other dogs aren’t about to get in a fight over food – don’t risk food around unfamiliar dogs). This teaches him that he’s allowed to back off when he needs! Don’t pressure your socially awkward dog. If your other dog loves dog parks and social outings, great! Leave SAL at home. She’ll be happier there, based on what we know about her. Putting her into situations with other dogs that make her uncomfortable just push her towards being more unhappy. Advocate for your dog. Lots of people have dogs that are a bit, well, over-enthusiastic. While these exuberant greeters can be charming at first, they’re not SAL’s type. Ask other owners to give you space and don’t let their dogs charge SAL. Don’t pressure SAL to meet other dogs, especially in close quarters. An “I need space” bandana can be super helpful! If the other dogs are pressuring SAL or bothering her, get in between them yourself. This “splitting” behavior is well-respected by many dogs, who will back off when you calmly walk between them and SAL. The most amazing thing about being so protective of your socially awkward dog is this: the more freedom and space you give her, the friendlier she may become. When my own dog doesn’t feel pressured to be friendly and charming, he’s much more likely to relax and actually BE friendly and charming! Amazing! It might seem like you’re kind of babying your pup – protecting her from the world. Think of it as respecting her wishes. It’s like raising a bookworm teenager – why pressure her into going to house parties if she’d rather hang at home? We talk more about why constant exposure to scary stuff can actually backfire here.